That was fast. 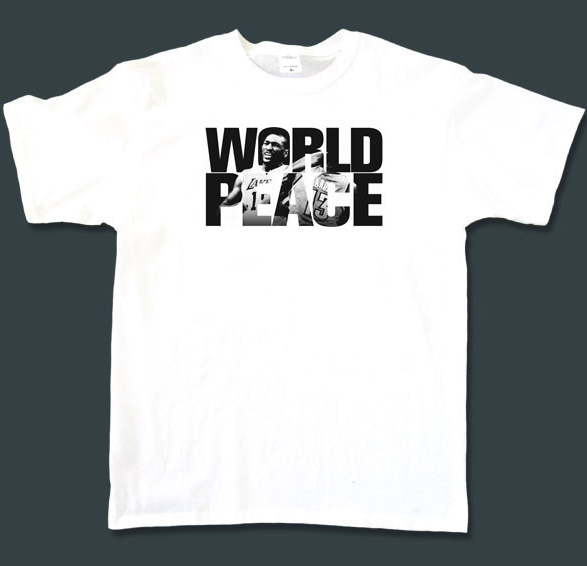 In less than 24 hours, Bootleg throws together a shirt paying homage to Metta World Peace Ron Artest's best Ludacris impression on James Harden from last night. In all seriousness - wowsers. That play looks MUCH worse in slow motion, when you see the wind-up. Pre-order here.